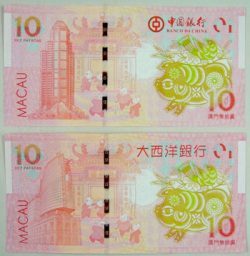 Macao – Year of the Pig new banknotes. 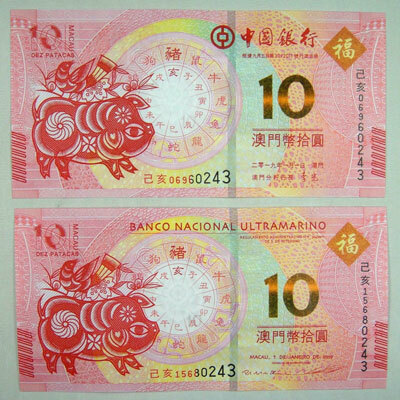 Banco Nacional Ultramarino and Banco da China have recently issued the Chinese Year of the Pig new banknotes of 10 patacas (MOP-BNU10.12 and MOP-BdC10.12). These are dated 2019, and are issued in limited quantities. They are legal tender, but seldom found in circulation.